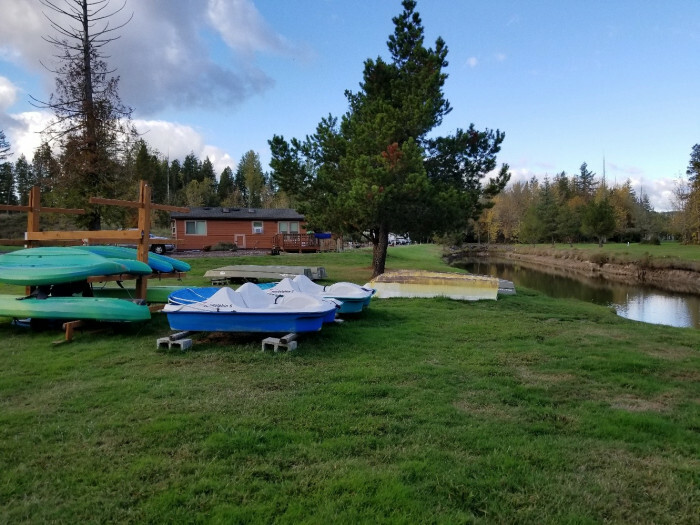 Ask fellow campers about "Silver Cove Resort" and nearby attractions. The park is located adjacent to the east end of Silver Lake. There are canals within the park that communicate with the lake. I had a nice paddle in my kayak. If you don't have a boat, there are some for rent. The RV sites are spacious. Most are wide enough to park your tow vehicle next to your RV. There is a long term section, but it is separated from the remainder of the park. One think I noticed was the easy availability of trash containers. Many parks have only one or two. We camped at Silver Cove Resort in a Motorhome. Mount St Helens. Johnstone Ridge Visitor Center. There is a good restaurant called Parkers about 10 miles away near I-5. The food is good and the portions are huge. 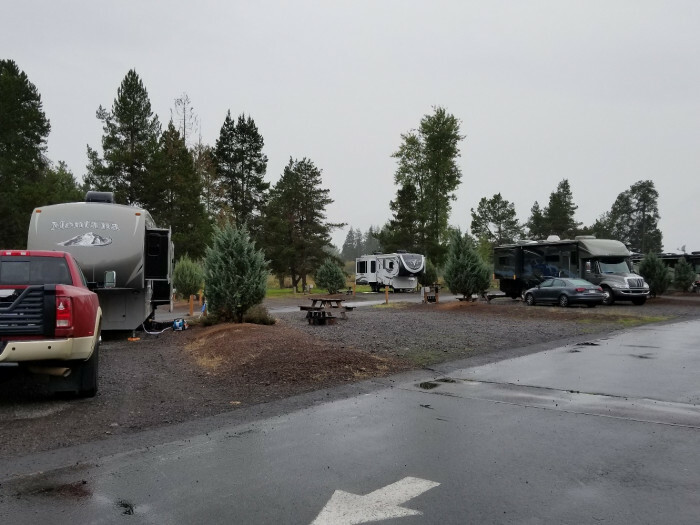 This RV park has lots of trees and open space. It is well laid out and very quiet. The sites are wide but have large gravel (like railroad ballast) and are full hook-up. The interior roads are all asphalt but are narrow. Backing into a back-in site could be a challenge if all sites are full. The canals in the park are a nice touch but are only about 15' - 20' wide so their "water view" sites are a little over sold. Their main pavillion is very nice with a large fireplace and comfy furniture. My biggest knock on this campground is a lack of restrooms. There were only three total restrooms in the entire park for well over 100 sites. I know I have a shower in my trailer, but I am tall and when I can I like to stretch out a little when I shower. 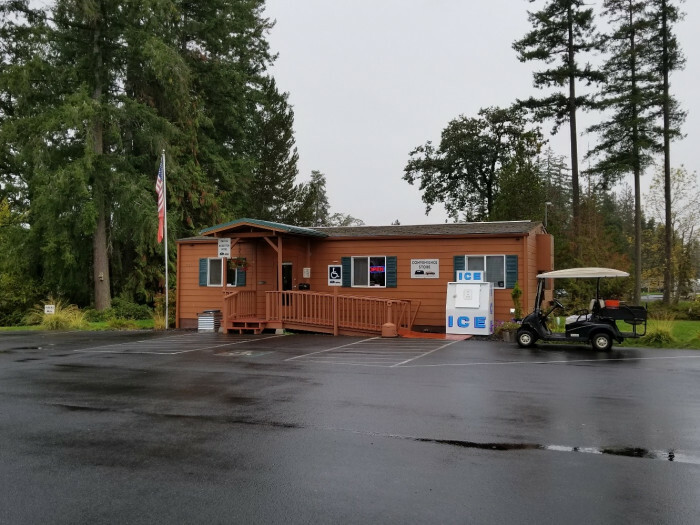 Overall this is a very nice RV park with some nice amenities, but I feel it is overpriced. Having said that, I would probably stay here again as the other RV parks in the area are close to the highway. 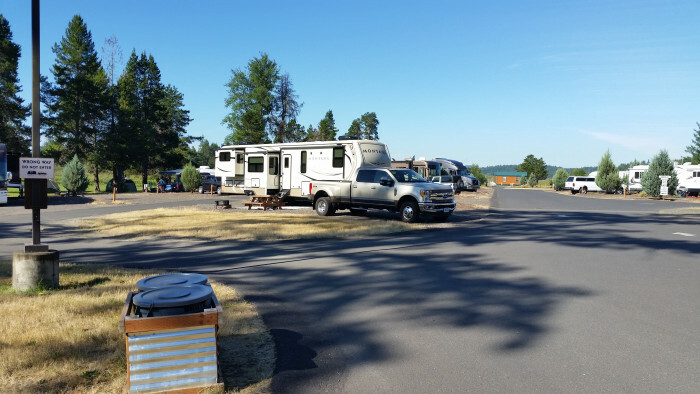 We camped at Silver Cove Resort in a Fifth Wheel. Mt. St. Helens is a must see! The Johnston Ridge Visitor Center is about 43 mile drive, but it is a beautiful drive! Great place to relax and unwind. 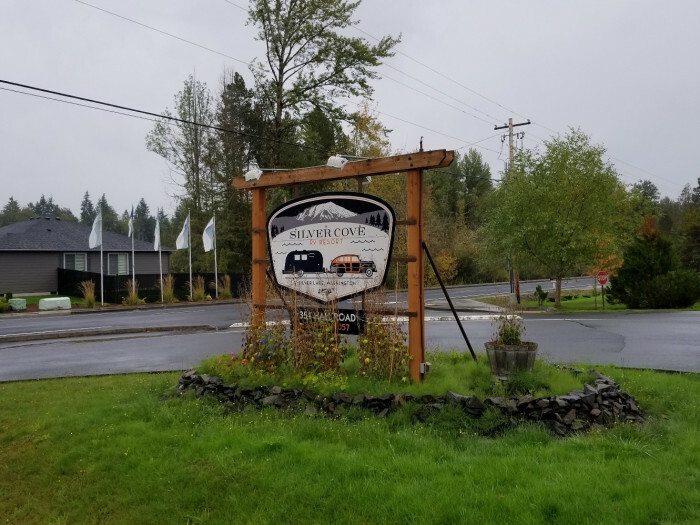 Beautiful, quality RV park. Pride of ownership is evident throughout the park. Full hookups. Wide, spacious sites. Sites are "large rock" gravel but roads are paved. No dust issues. Series of waterways (canals) throughout the park with many sites on the banks of a waterway. Abundant waterfowl to watch. We stayed 4 nights in a travel trailer. Even though it rained on and off for several days, we plan to come back again next year. Nice lodge with patio overlooking end of a waterway. Yes, there's goose poo on the lawn areas, but we managed to step around it without too much difficulty. 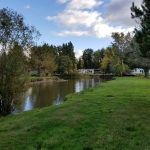 We camped at Silver Cove Resort in a Travel Trailer. Mt St Helens is the primary attraction. Approximately 40+ plus miles away on one of the most scenic roads we've seen in a while. We had good lunch at Fire Mountain Grill in Kid Valley (their deck overlooks the river!). This park is near Mount St. Helens which is the main reason we chose to stay here. It is really nothing like their website depicts. The sites have no grass, there is tremendous slope on the sites (over 5" off level) and the utilities are horribly placed (at the very back of the site adjacent to the roadway). Wi-Fi works well and there are a good number of cable TV channels. 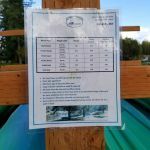 The lodge building and washrooms are nice, but the park is much too high priced for what they offer. We would look elsewhere if we were in the area again. We camped at Silver Cove Resort in a Fifth Wheel. Quite a large park with several sections. There is a small waterway area as well. Good location for checking out Mt St Helen. Need to travel about 20-30 minutes for decent size grocery store. 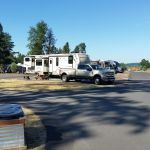 We camped at Silver Cove Resort in a Fifth Wheel. Mount St Helens, shopping in Kelsey. Nice laundry area. 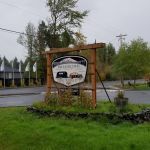 This is a large RV park located a few miles from I-5 and on the road to Mt St Helens. Roads are paved. 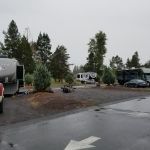 Camp sites are gravel, FHU, mostly back-in with a few pull-through, and arranged in clusters with large natural tree and grass areas in between. So there is lots of road and green space for a long walk or exercising a large dog. Utilities worked fine. The WiFi worked only at the lodge and my Verizon phone and data did not work at all. This is a nice enough campground but way over-priced. We camped at Silver Cove Resort in a Motorhome. We loved this park. It was only an hour north of Portland, so a great weekend getaway. Park is beautifully laid out. The waterways winding through it make each site feel like it has privacy. The only issues we had were 1) Very spotty cell service. Cellular data does not work. Park wifi works very well but only if you are close to the Lodge or Pavilion. The sites further away are dead. 2) There were only 4 showers for the whole park and 2 of them or male or female specific. Those are located at the lodge, so if the lodge is being used for a private party, which it was when we were there, they are not available. The bathrooms are great, clean, but there just are not many. A really nice feature, if you have a boat you can stake it right at your site. They also have a really nice parking lot for boat trailers and a launch. The cabins looked VERY nice. The roads were narrow in places so could be tight backing in if the sites across from you are full. It took us a bit but we did it. So if you don't need a shower and don't care about cell service or internet, this place is wonderful. 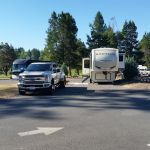 We camped at Silver Cove Resort in a Fifth Wheel. Gateway to Mt St Helens. We went up and hiked. No phone/cellular data between the RV park and St Helens Observatory, but beautiful area and totally worth it. The Toutle store is great for snacks, groceries etc. Thank you for your detailed feedback. We hope you will plan future visits with us. This is a beautiful park, with lots of trees in surrounding areas. We reserved a "Site on the water", which we thought meant next to the lake. The "water" referred to seems to be a bunch of man-made canals that run through the park and we were at least 100 ft from that even. The park needs to upgrade the sites as the gravel is uneven, not level and lots of large rocks. The sewer connection was up-hill from where our RV sat, so draining tanks was quite a problem. Restrooms were clean, but there was only a "one stall" for the mens and also for the womens which, for a park of this size, was totally insufficient. If someone was taking a shower and had the door locked, the restroom was unavailable. This could be a top-notch park if they would spend some money and effort to plant some grassy areas and maybe some shrubs between the sites and level and re-gravel the sites. Picnic table also in pretty bad shape. We camped at Silver Cove Resort in a Motorhome. Don't waste your money for a "water view"
Thank you for the constructive feedback. We will use this review to help better meet the needs of our valued guests. Lovely park near a lake. Wide, fairly level spaces with plenty of room between. Staff was friendly, the grounds well maintained. Spotty cell service, which isn't necessarily a bad thing. WiFi was a bit irregular, but adequate. Great kayaking on Silver Lake. We camped at Silver Cove Resort in a Fifth Wheel. Thank you for your feedback. We hope you will visit us again soon! Large, well maintained park consisting of 159 sites which are a mix of back-in, pull through and cottages. Sites are double wide and comprised of gravel, but the gravel is very thick (not packed down) and a mix of small and huge rocks, making the sites unlevel and difficult to walk on. We stayed in site 48, a pull through site with a picnic table. Utilities worked well but were placed at the rear of the site (sewer took 3 hoses to reach). Most if not all sites are in the open with no shade, and temperatures were in the 90's while we were there so it was very hot! 60+ cable channels included in price. Verizon service was poor. We used the free wifi, which worked well only when the park wasn't full. Interior roads are paved, and the loops are narrow but doable. There are multiple curbs in the park that will need care to navigate around (one roundabout, one at the main road entrance and one at the entrance/exit gate). Signage to the park was good. The park has small canals running through it and you can rent boats (no motor), kayaks and pedalboats to use. You can fish in them as well, but it might be tricky with the lily pads growing in the canals. There's plenty of green space near the canals but watch your step as there is a LOT of poop from the geese that graze there. The park has a very nice pavilion and lodge which appeared to be brand new. There is also a boat launch on site. Office has a small selection of snacks, drinks and fishing gear. Staff were the friendliest we have seen anywhere! Very welcoming and informative. The park hosted a "s'mores party" on Saturday, complete with two campfires and games. Several bathroom areas within the park. The one closest to us had two private bathrooms (1 per gender) which consisted of two toilets and a shower, so at times there was a short wait to use them. They were kept clean and were well appointed. We enjoyed our stay and would return. We camped at Silver Cove Resort in a Fifth Wheel. The closest grocery store is Cascade Market (small but functional) 9 miles away in Castle Rock. The nearest Walmart is 23 miles south in Longview. Mount St. Helens is less than an hour from the park which is a must see. Thank you for your feedback. We are happy to provide a memorable experience! Very nice park. Stayed here 3 nights over a weekend. Park was full but there was plenty of space for everyone. Quiet even though there were many families with small children. Lots of trees and sites along the water. Nice laundry facility. Close to Mount St. Helens. Would definitely stay here again if in the area. We camped at Silver Cove Resort in a Motorhome. There's a nice grocery store in Castle Rocks about 8 miles west. Thank you for your review. We hope you will stay with us again along your travels. This place was just beautiful! Many sites were directly on the water, and ours had an excellent view. There were very few people around us. It's less than an hour to Mount St. Helens. They keep this place immaculate too. The WiFi worked extremely well for an RV park, and we had AT&T cell service though others seemed not to. There were pretty geese all over the property at dusk, though they left plenty of dung all over the area (mostly in the grass by the lake). At dusk, while it was pretty out, the bugs really came out. Other times of the day, bugs were not an issue at all. We were in the back of the park by the boat parking area. There was no real noise whatsoever. It's back a ways from the main road (and there are no signs on the main road, for some reason), so it's super quiet. We camped at Silver Cove Resort in a Fifth Wheel. Thank you for your detailed review. We are happy to be of service! The resort is in a park like setting with lots of grass and water. Very quiet. Friendly staff. Close to northern side of Mt. St Helens. Stayed here for several days in a 40 foot motorhome. We camped at Silver Cove Resort in a Motorhome. Nice day trip to Astoria, Oregon, - ~ 75 miles - visited Columbia River Maritime Museum and Cape Disappointment across the river. We spent 4 nights at Silver Cove. We were vacationing with our 2 daughters and their families and rented 2 RV sites and a loft cabin, all right together. Perfect setup for a little family reunion. This place is perfect, well laid out with plenty of green space behind the sites. There are waterways that wind through the park right behind some of the sites,and they connect with the lake. You can rent kayaks, pedal boats and stand-up paddle boards. We visited the Johnston Ridge Observatory at Mt. St. Helens, about a 43 mile drive from the park. Admission to the observatory is $8.00, unless you have a Senior National Park pass, then it's free for up to 4 people. It's well worth the drive, great visitor center with an awesome movie about the eruption. We liked everything about this park. It's clean and well-maintained. The staff and management are very friendly and accommodating. We'd definitely stay here again. 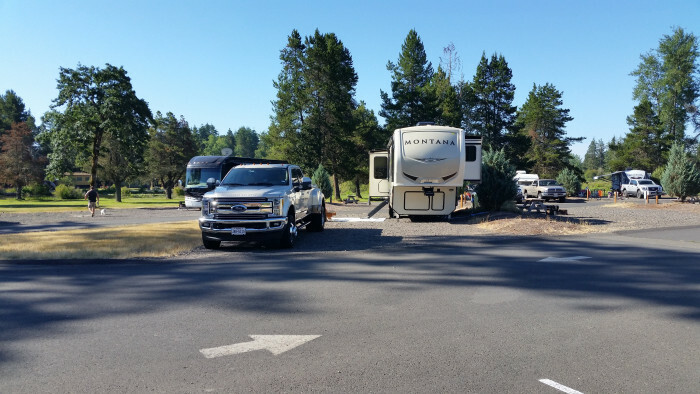 We camped at Silver Cove Resort in a Fifth Wheel. Thank you for your detailed feedback. We look forward to your future visits! This park is a Highway West Vacations resort. We recently stayed at another of their properties in Coos Bay, OR. 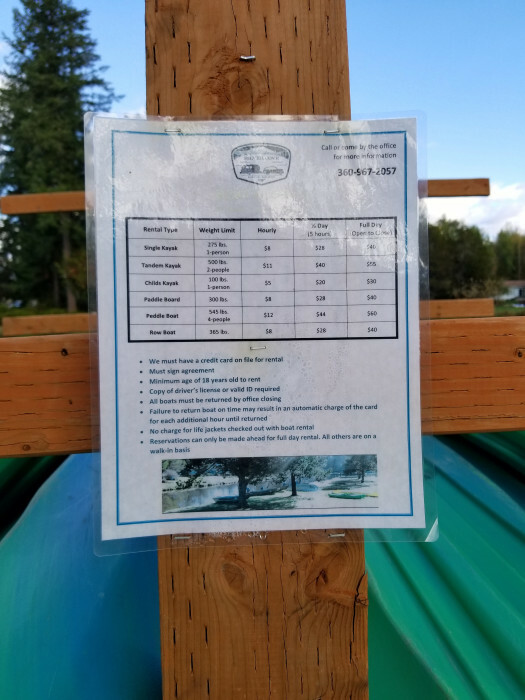 This is a quality park which is located in a beautiful setting on a portion of Silver Lake which is about 30 miles from Mount St. Helens. The park has asphalt driveways and gravel site pads with full hookups. There is a mix of back-in and pull-thru sites. 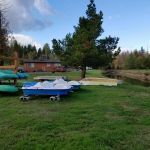 We had a pull-thru site that was quite large with picnic table and fire pit. The restroom we used was good, a single unit with a shower. There are other restrooms around the park but we didn't use them. There was free WiFi that was very high quality. The park is clean and well maintained. We paid $44.88 per night with Good Sam discount. We camped at Silver Cove Resort in a Motorhome. Thank you for taking the time to share this feedback with us. We hope that you will plan another visit with us soon. Small café just up road that has great food and a very nice owner who does everything. Tips to see Mt St Helens: Skip the State-run 'Mt St Helens Visitor Center' (4 miles West, $5 fee) and stop instead at the National Park Service Forest Learning Center (24 Miles East, Free, Restrooms, Exhibits, Elk Viewing areas). If all you want is a good view of the crater, skip Johnston Ridge Observatory ($8) and park at Loowit Viewpoint (Free, 1/4 mile short of Johnston Ridge.). The view is identical. Mount St. Helens Visitor Center in Castle Rock and also at Johnson's Observatory at Mount St. Helens which is a beautiful 47 mile drive from the park. This is a must do Visit Castle Rock Lavender Farm Groceries, restaurants are in Castle Rock. 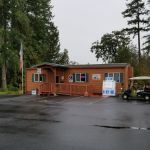 We ate at Fire Mountain Grill located at mile marker 19 on Hwy 504 on the way back from Mt St Helen. Good food & nice views. Beautiful drive to Mt St Helens. Visit the Mt St Helens interpretive on the way to the park. Fishing in the lake. Many interesting places in the area to visit. Castle Rock is a nice little town and there is a great biking/walking trail along the river in town. Definitely make the drive to the Johnston Observatory for a tour of the Visitor Center and great views of the volcano. Also enjoyed the Hoffstadt Visitor Center where we enjoyed a good lunch on the patio deck overlooking the river and volcano. The restaurant Patty's Place is about a 10-minute drive to the east. They have a decent menu, including elk burgers and homemade cobbler, and good food. The view of the river from the back deck is spectacular, though it can get hot and bright out there just before sunset. There are several Mount Saint Helens visitor centers along 504, the first of which is several miles west of the campground. The last (and closest to MSH) is Johnston Ridge Observatory, about an hour further east of the cg on 504. The Johnston Ridge Observatory provides elevated walkways for panoramic viewing, informative talks, movies, dioramas, souveniers, photographs and models of MSH. We are avid hikers and outdoorsman. You can hike for days and see spectacular sites within minutes of the campground. Drive up to see Mount St. Helen. Fishing in the canal at the park, or nearby lakes such as Silver Lake. Are you affiliated with Silver Cove Resort ?